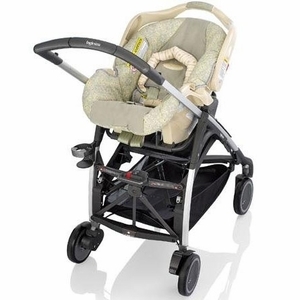 Jointed handle to maximize the smoothness and enhance maneuverability of the stroller which can be steered with just one hand. 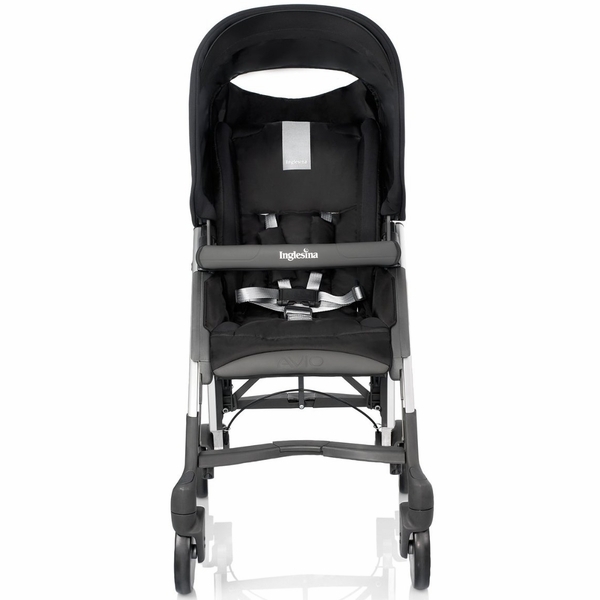 Handle equipped with balancing mechanism increasing the stability of the stroller and easing both the closing and opening. 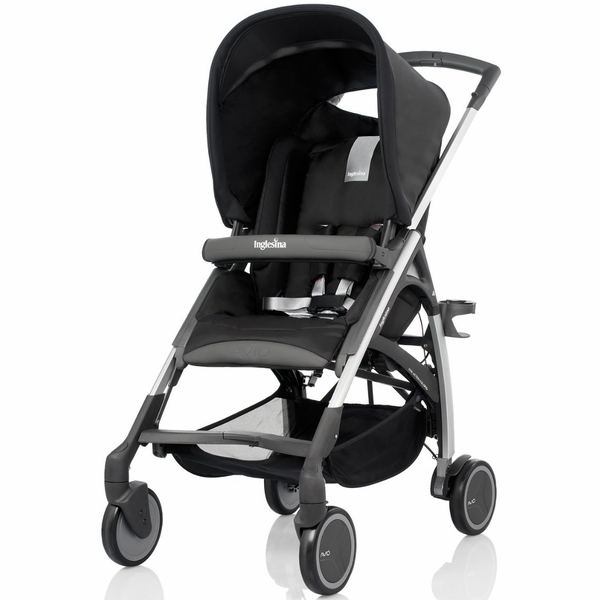 Pivoting front wheels, with lock-unlock mechanism which, once activated, automatically reaches its ideal position. 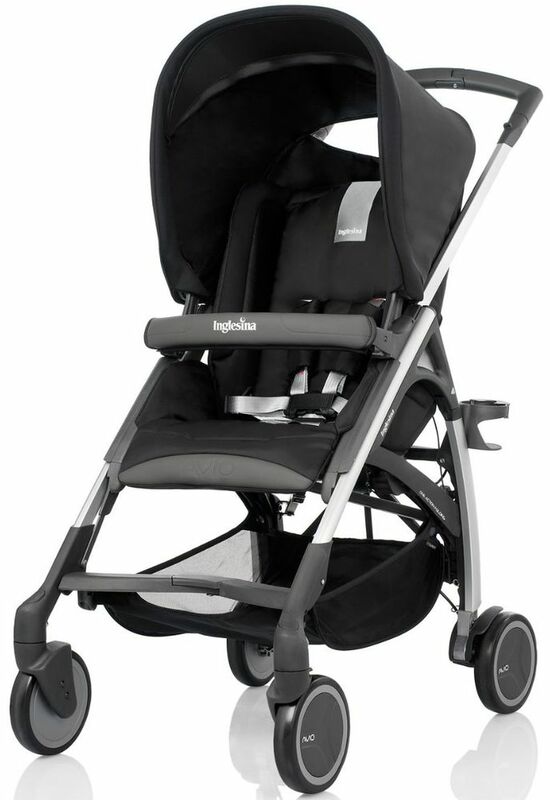 Rear shock absorbing wheels, with ball bearings increasing the smoothness of the stroller even after pronged and vigorous usage. Active brake with centralized control: once enabled, it reaches the correct position automatically. Roomy storage basked homologated till 3 kg of weight. Padded seat unit and backrest, with soft jersey inserts. 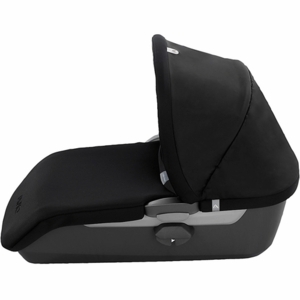 4-position backrest reclining up to 170°, with centralized control. 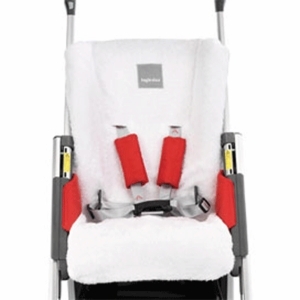 Bumper bar and footrest lining in technical waterproof material, resistant and easy to wash.
Front footrest adjustable to 3 positions (in the highest position the footrest acts as stabilizer for the carrycot). Hood with silent joint, removable together with the bumper bar. Viewing window on the hood, to see the baby at any time during the walk. 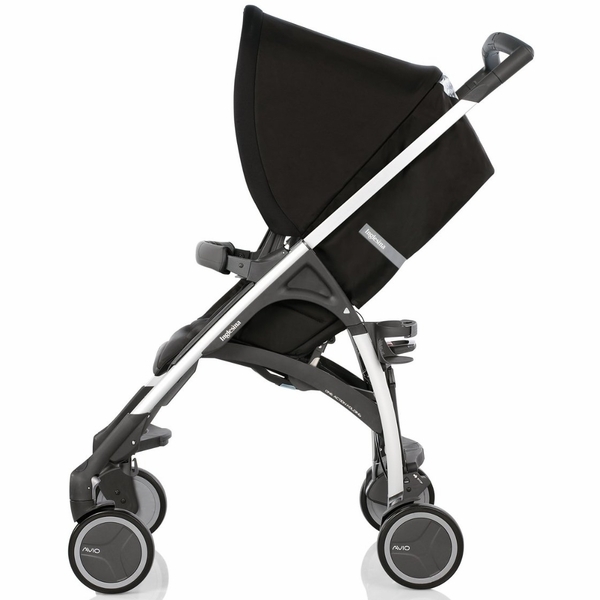 Reflective material inserts applied on the hood increase the stroller's visibility at night. Hood flap to provide extra sun protection. 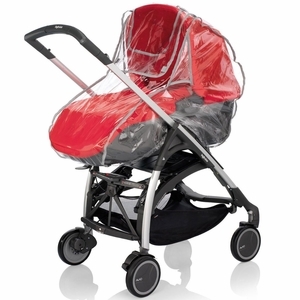 Stroller and hood lining totally removable and hand washable at 30°. Materials of the internal and external lining: Nylon. 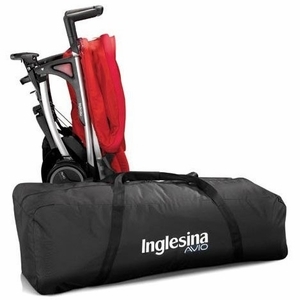 The Inglesina Avio stroller is the new generation stroller. 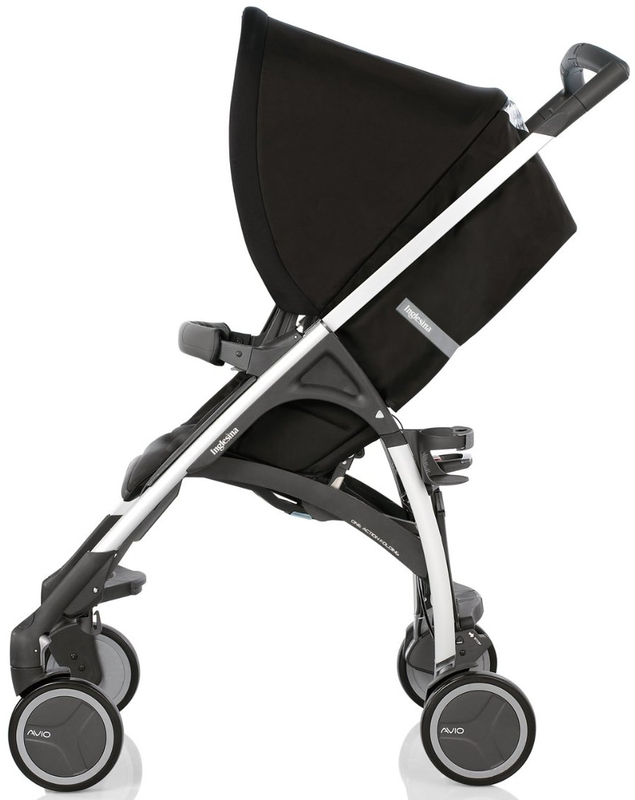 The avant-garde design created by clear and light lines, the high performance delivered on different terrain and the highly desirable compact size make it the stroller par excellance for city life. Developed explicitly to be fully configurable, Avio is equipped with a wide range of optional extras allowing multi-choice accessorizing to satisfy specific and particular needs.